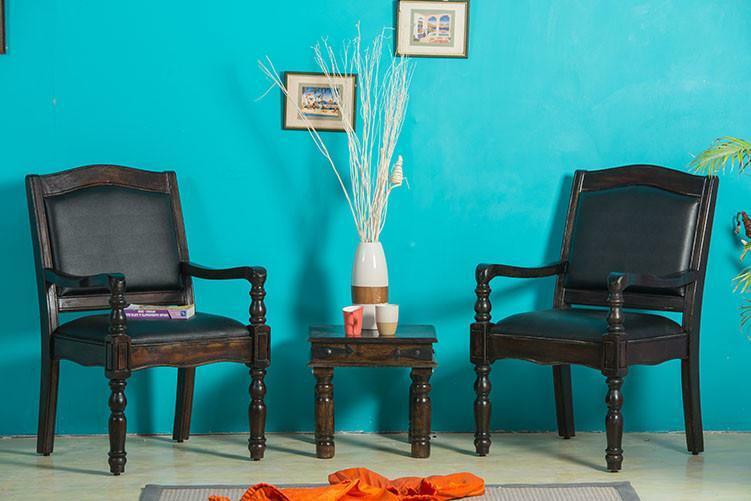 Saraf Furniture can be your utmost favorite wooden furniture brand for ethical reasons. The fact is you will get addicted to it. Latest furniture designs, right fit and perfect pricing… They ace the game! 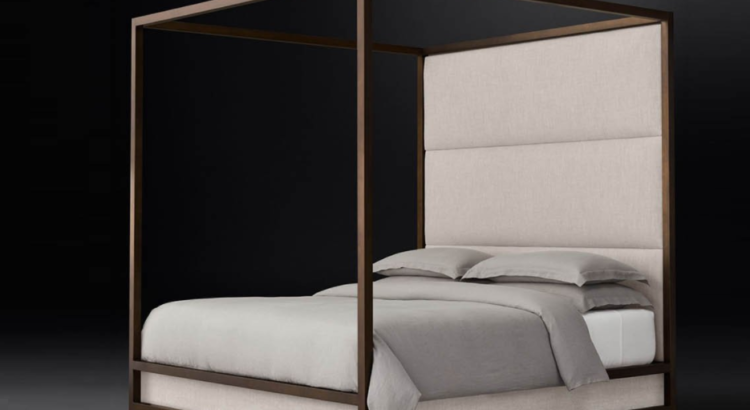 Well, here are 7 luxurious pieces of furniture from InSaraf online store that will make your home the way it deserves to be- opulent and lavishly appointed. From modern sofas with well-defined shapes and structures to the retro feel of curvy and deftly styled sofas; these pieces of furniture set a positive mood for anyone who would enter your home. Don’t be surprised if you find your family members lounging around in those sofas because you took the right decision by adding to the great taste of your house. Sofa sets usually go with the colour scheme of your house and it’s a safe option that everyone will undoubtedly compliment. But if you’re feeling rebellious and bold, contrasts are highly in demand. Choose a colour that stands out from the rest of the colour scheme and immediately sees how charismatic and appealing your choice looks. Nothing screams luxury more than a huge wardrobe that leaves a statement of its appeal. If you’re serious about adding something that adds to the extravagance of your place, then a wardrobe with delicate wooden finishing must be at the top of your priority list. 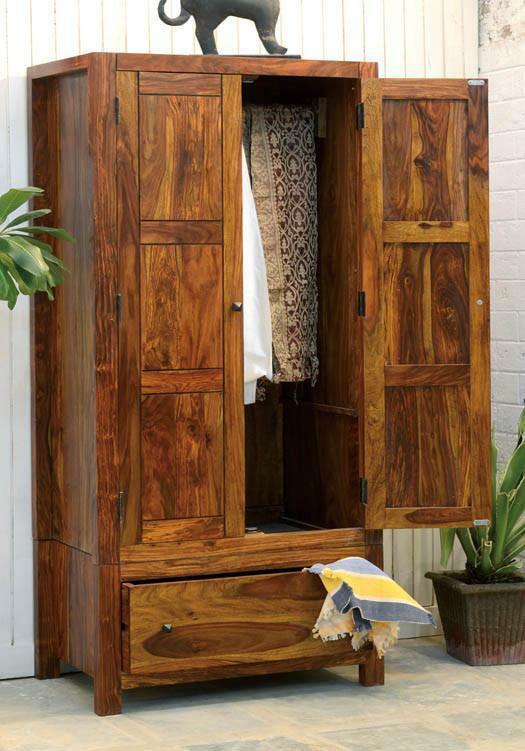 Who wouldn’t want their clothes to be in a wardrobe that is a cherry on top of the cake or a signature piece of carved expertise inside their own home? Everyone wants that, and you might be the person who takes the first leap towards it. Your bed will feel incomplete until you have adorned it with that little but very significant piece of furniture beside it, and that is a bedside table. The fact that this small cabinet-like table adds an overall aura to the room cannot be stressed enough. 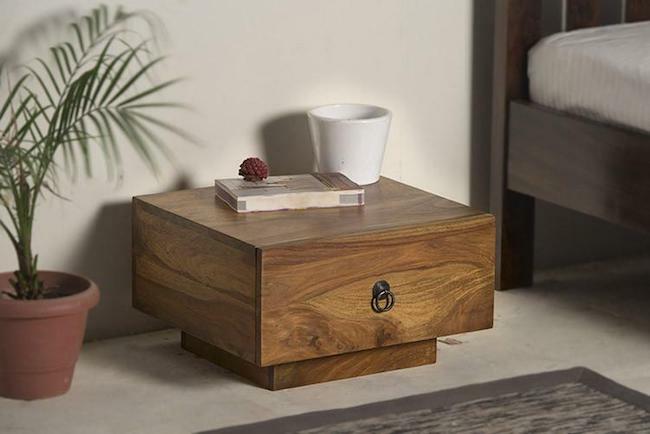 Having a bedside table shows that you have an eye for detail and how small things help in making life more comfortable. 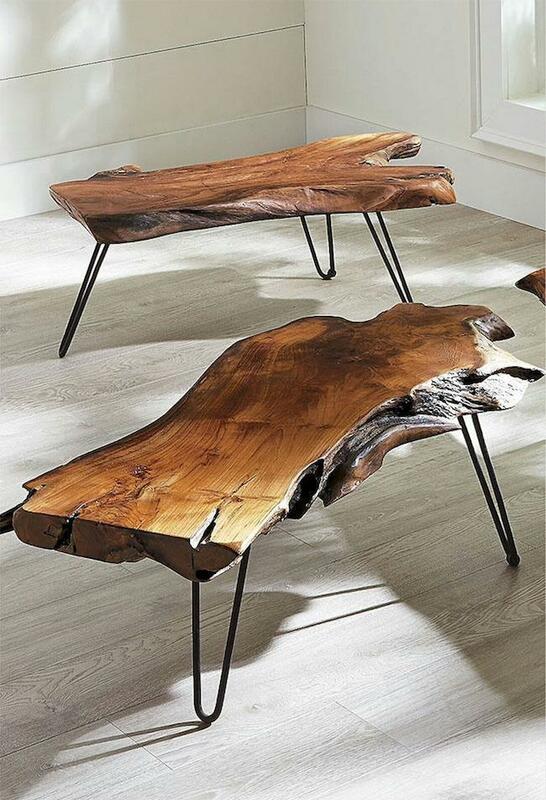 These might as well be the most versatile pieces of luxurious furniture in your home. From leather to wood, they will come in any material; and from recliners to chaise lounges, they come in any shape, size, and style. All that it depends upon is your selection. Place a wing chair by the fireplace or a chaise lounge out on the balcony and create the perfect spots for napping, reading or sunbathing. After armchairs, coffee tables take up the next spot for versatility and can be placed in the living room, bedroom and even the backyard. Ottomans to ebony and mahogany tables, they are made up of every type of material available and take your class up a notch. Apart from being incredibly useful in storing your showpieces, these luxurious items add to the value of your house. Beautifully designed shelves with delicate handwork are not only easy on the eyes but also a showpiece of their own. One might think ‘why would I need a dressing table, I’m perfectly okay with my mirror on the wall and the shelf that I keep my make-up supplies on’. Well, the answer is no, if a luxurious house is what you want then it’s important to know that there is nothing that you should be “okay” with. It must be perfect and better than anything you could’ve thought of. Therefore, an attractively planned dressing table does not only look good but also focuses on the fact that you take your looks seriously. 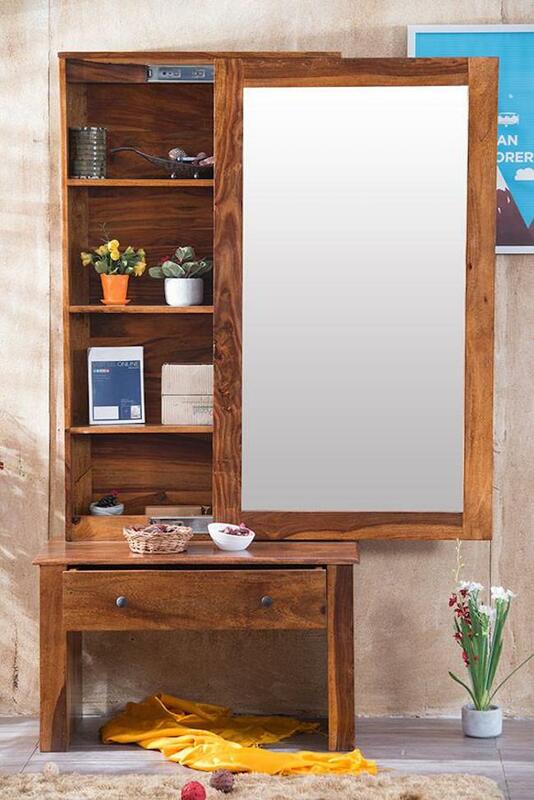 How do you like these luxury wooden furniture ideas which you can buy online? There are a lot more things that could be added to the list. But these were the necessary exquisite pieces of luxury furniture that your home needs. Add these to your hearth, give them a place in your personal life and watch these work wonders in the atmosphere of your home. You’ll feel the sophisticated, charming vibes that you always wanted your house to have. Your home defines you, and its personality represents your personality, so make it rich in feelings, luxury and embellish it with a plethora of pieces of luxury that enhance it furthermore. Be bold and unafraid to do a little experimentation with your opinions and let the positive results await you. So, go ahead! 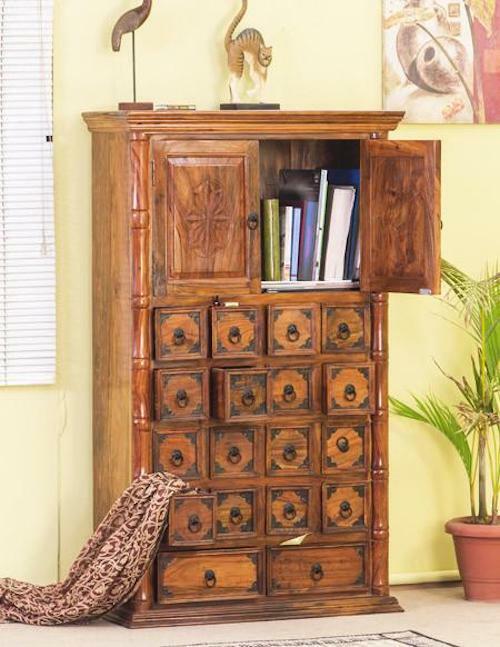 Start buying luxury wooden furniture from InSaraf e-commerce store for your home to inspired life. Great post! All the furniture you have mentioned in the article are amazing. It is great looking for a house with a garden. I liked the second design it looks awesome. I’m definitely going to buy one of these wooden furnitures and would suggest my friends read this article. Thank you for sharing such wonderful furniture.